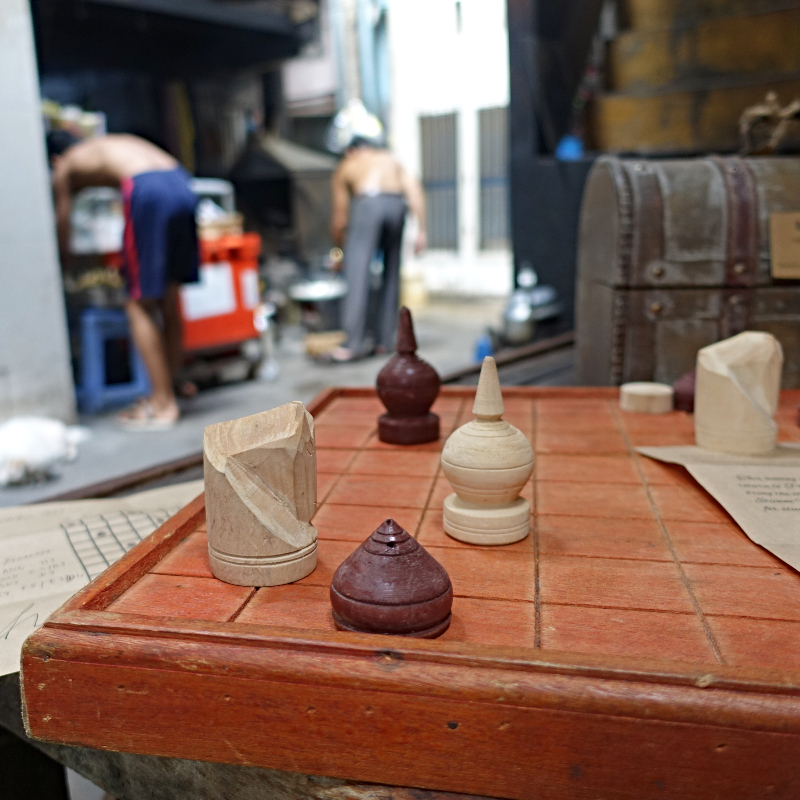 The Chess game is one of the oldest and most popular strategy board games in South East Asia. 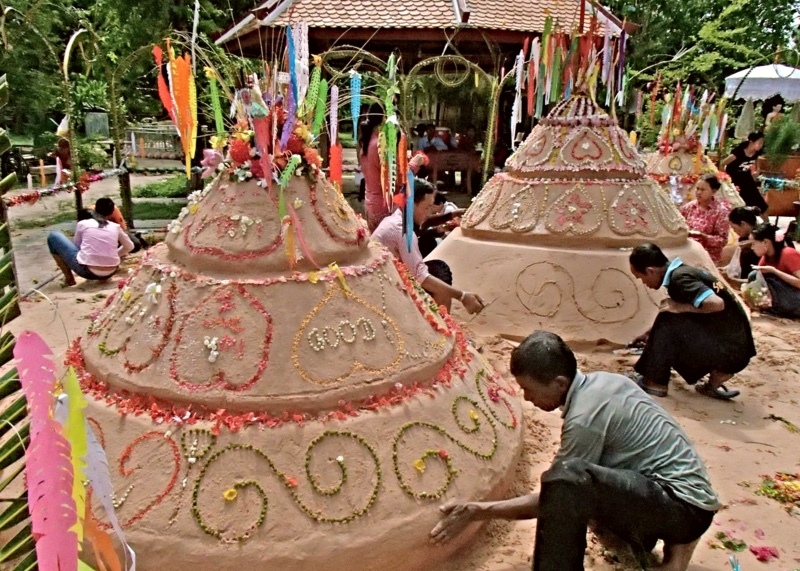 Its origins still remain obscure but supposedly it originally comes from North India, around the year 500. 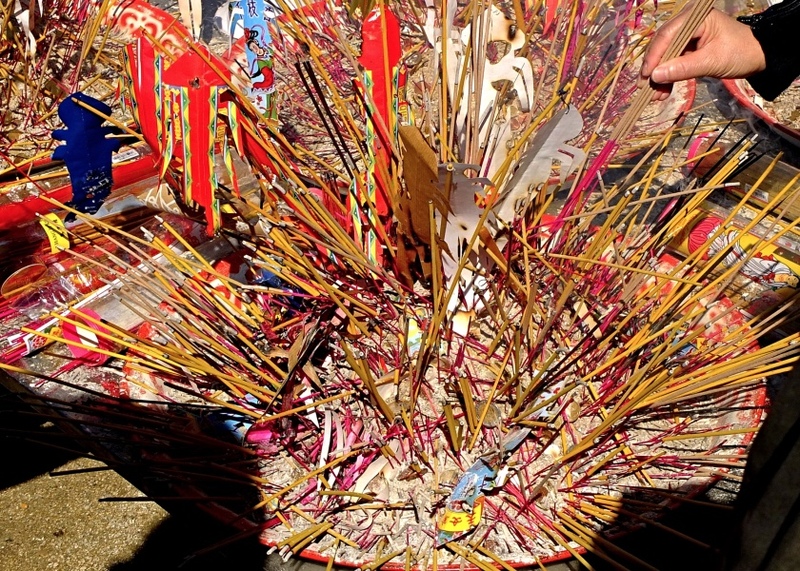 First a warrior game, it then spread to Central Asia and China, while following the road of Buddhism and gradually became a symbol of social promotion in the 18th century. 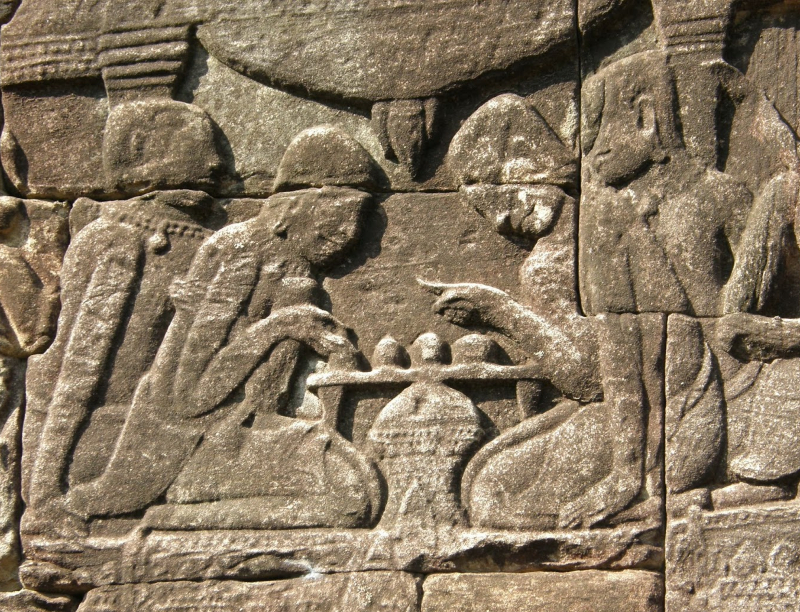 Bas-reliefs at Bayon Temple in Angkor Archaeological Park even depict chess players, showing that the game arrived in Cambodia at least during Angkorian times. 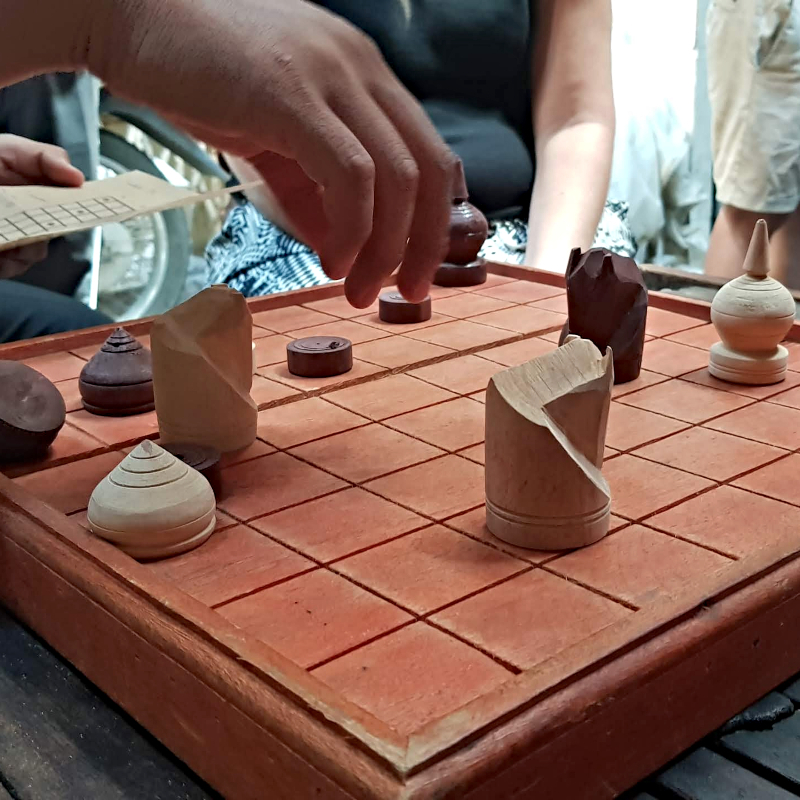 The most popular Cambodian chess game is called “Okk Chatrang”. 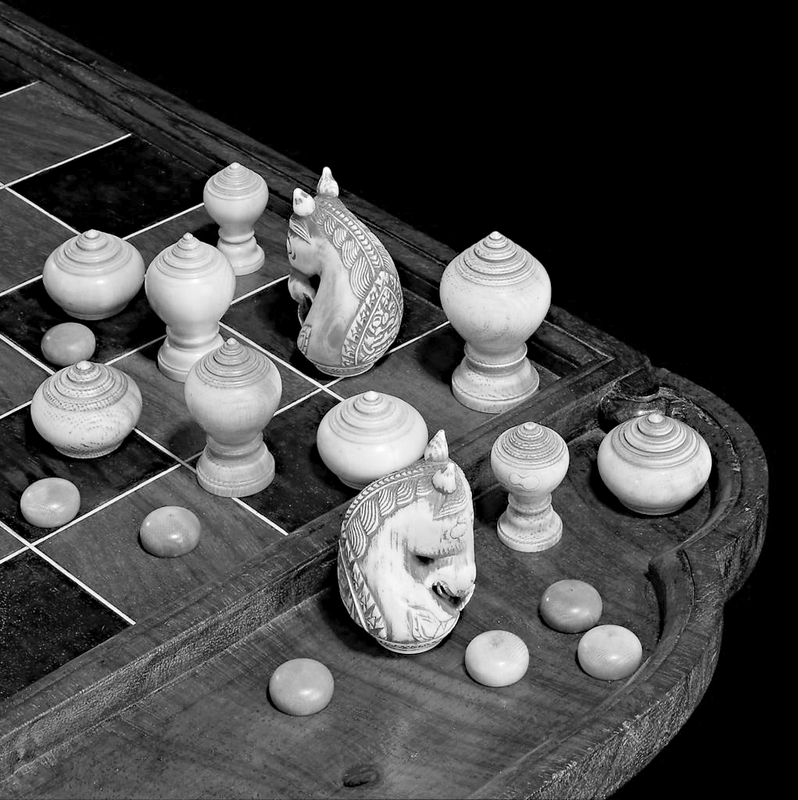 “Okk” is believed to come from the sound made between the piece and the chessboard while the player is checking. When checking the enemy King, the player must say out loud the word “Okk” (which means “check”). 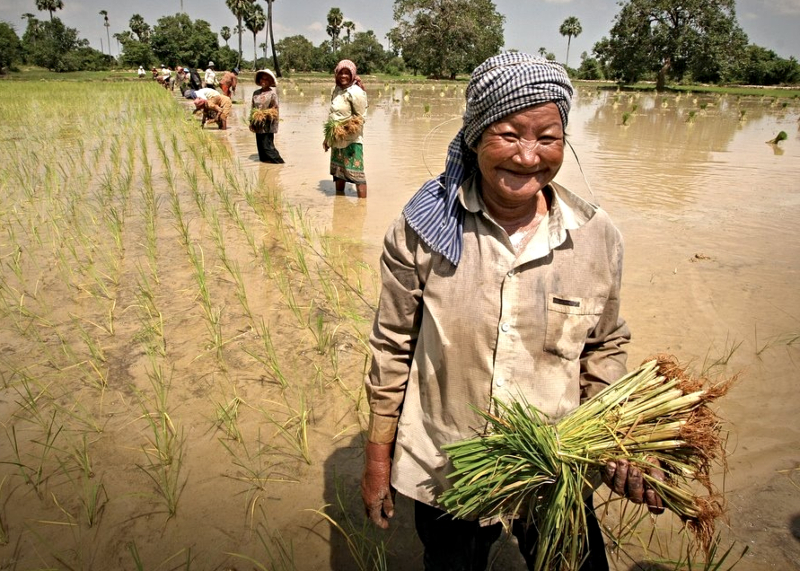 This overwhelmingly male game is still a very popular pastime widely played in Cambodia. 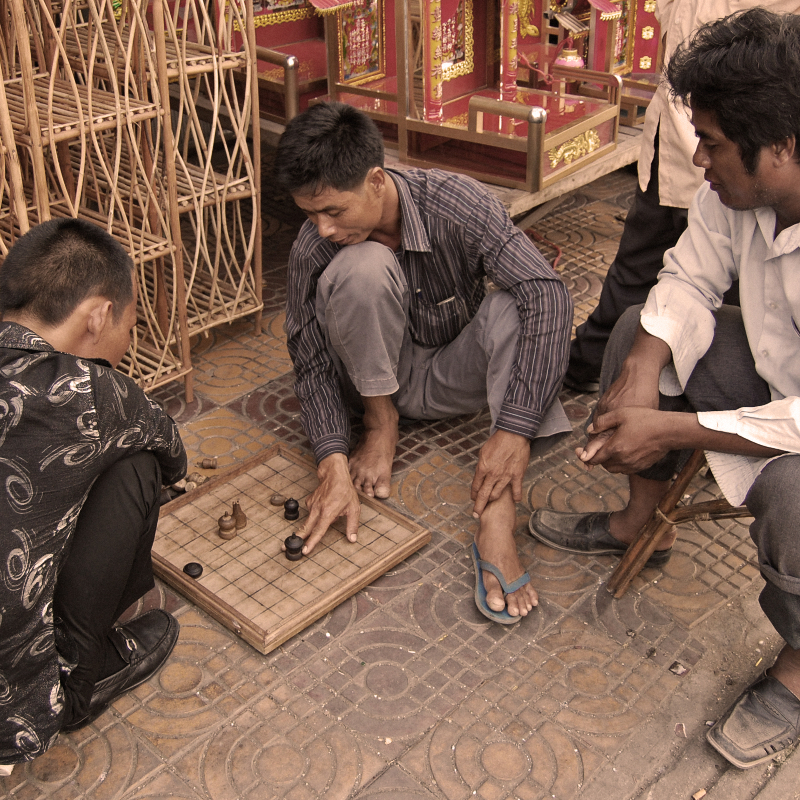 It is very common here to see players, mostly old men concentrating over a chessboard in the streets of Phnom Penh, in the province and in the countryside, on some coffee house terraces or on the sidewalk in front of their shop or even on a chessboard drawn on the dirt soil or with a chalk. 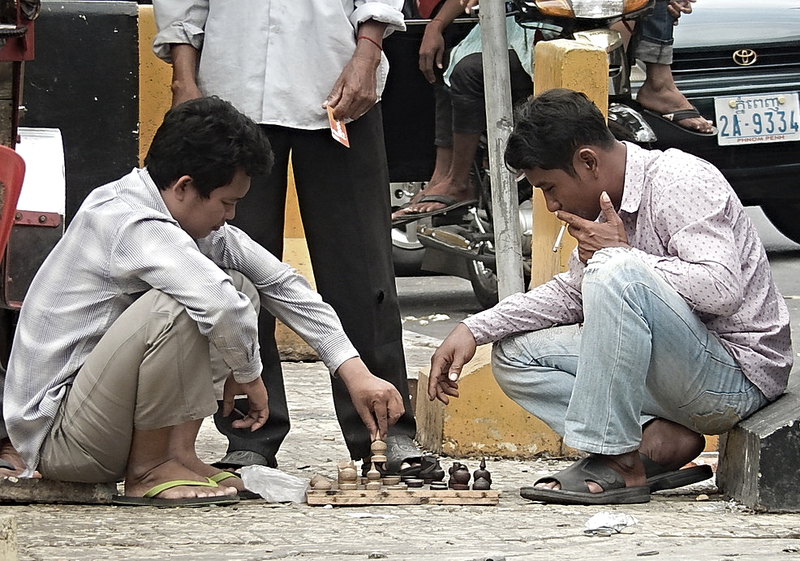 While the western version of chess requires two players only, in Cambodia there are usually 2 teams of people playing against each other. It makes the game more stimulating and fun as a small crowd is usually gathering around. 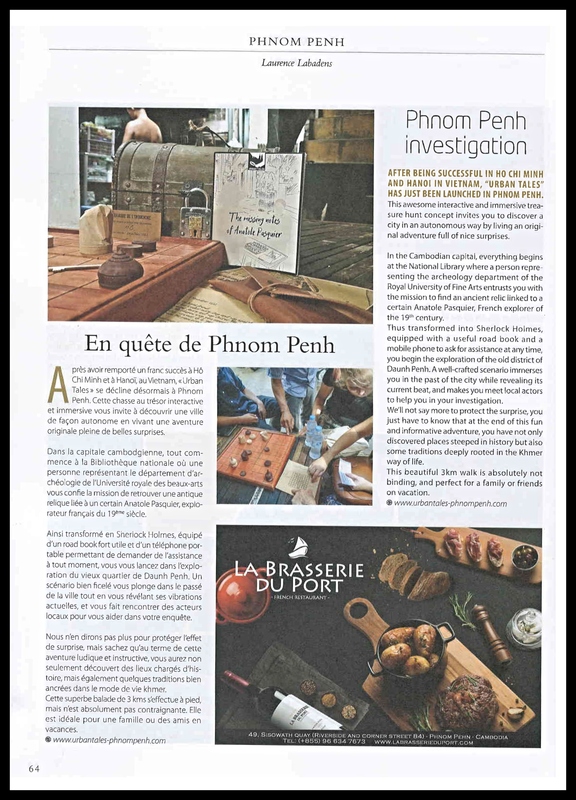 Latitudes Magazine team thoroughly enjoyed our new interactive walking adventure in the heart of Phnom Penh and featured us in their last issue #13 for February & March 2019. 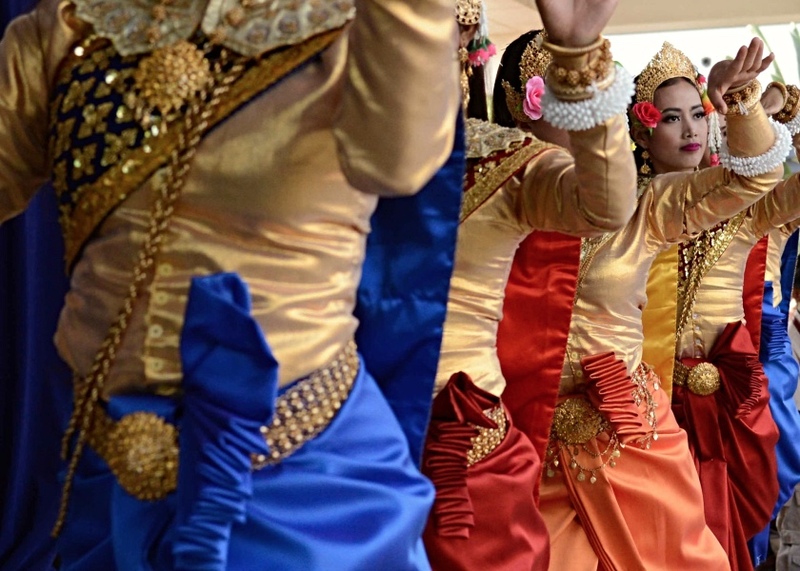 In summary, they highlight that “at the end of this fun and informative adventure, you have not only discovered places steeped in history but also some traditions deeply rooted in the Khmer way of life“. It is for them “perfect for a family or friends on vacation“. >>> You can read the whole article right here, on page 64. 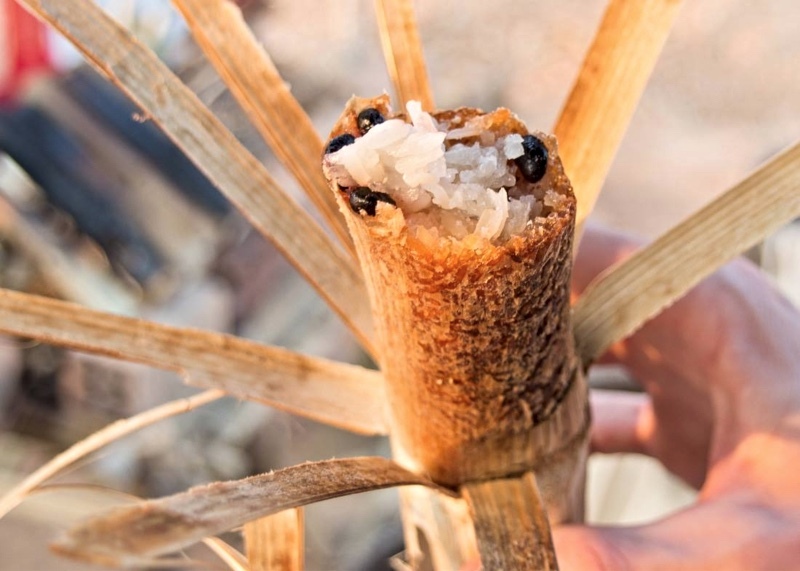 Thank you for your article, Laurence Labadens! 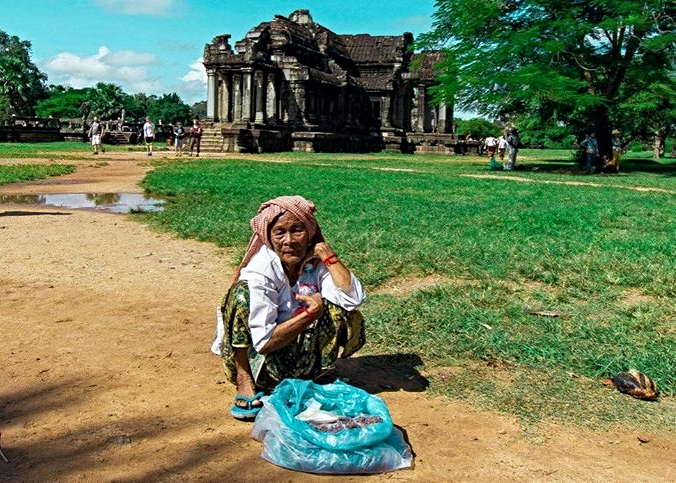 History is not very documented and precise about its origin, but kramas [pronounce it “kroh’mah” in Khmer] are said to date back to Angkor times (around the 13th century). 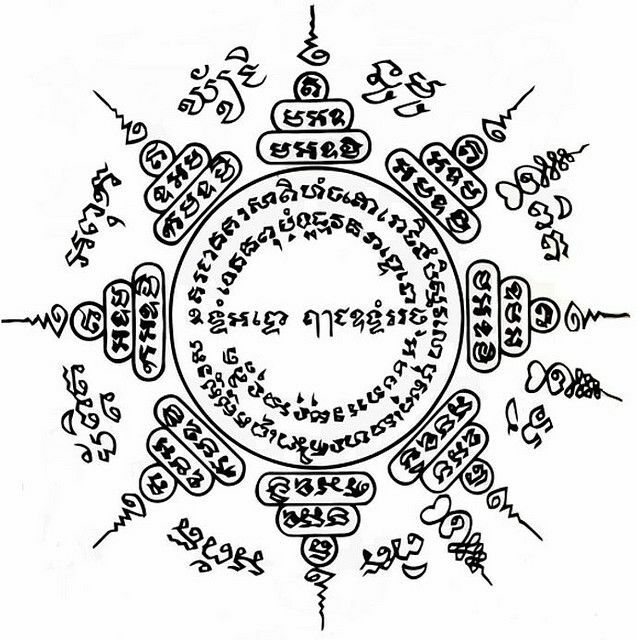 Usually, Khmer amulets include engraved gems, small statues, coins, rings, plant bits or written words in the form of a magical spell to prevent evil spirits. 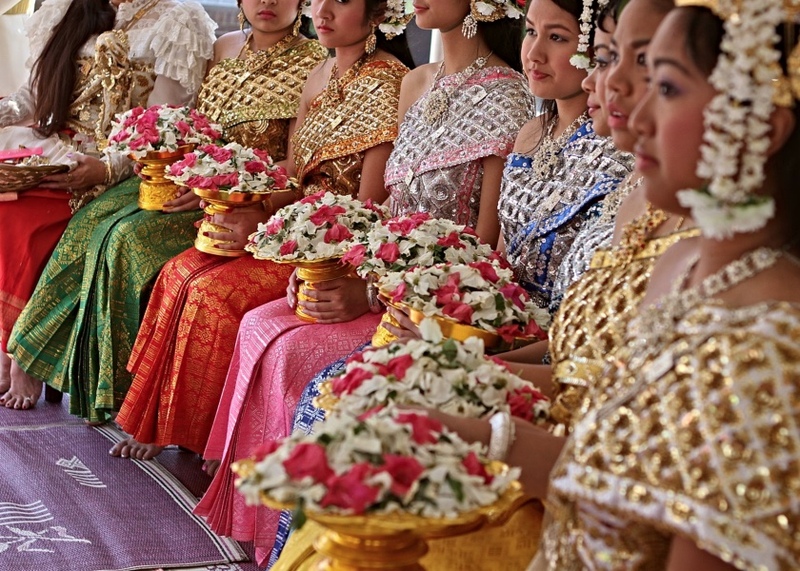 They contain “kattha” [pronounced “K’thaa” in Khmer]. 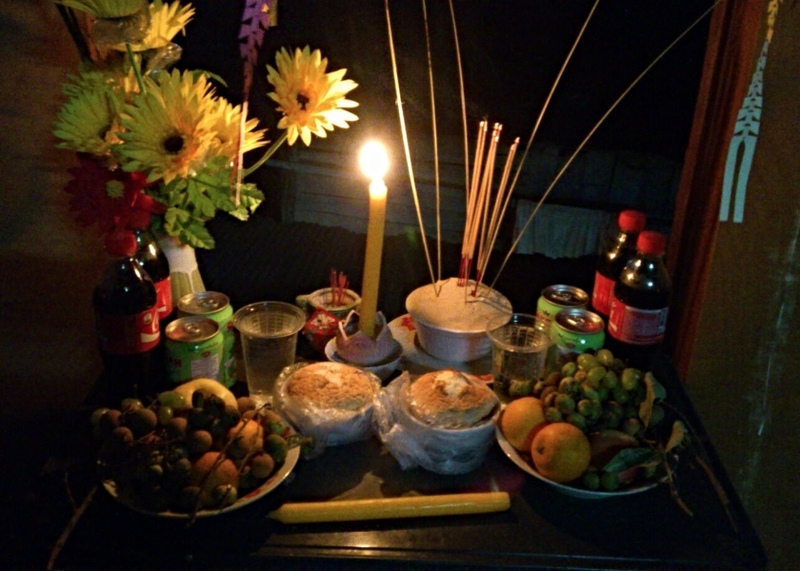 “K’thaa” is the name used for Sacred Pali prayers, mantras and other magical incantations. 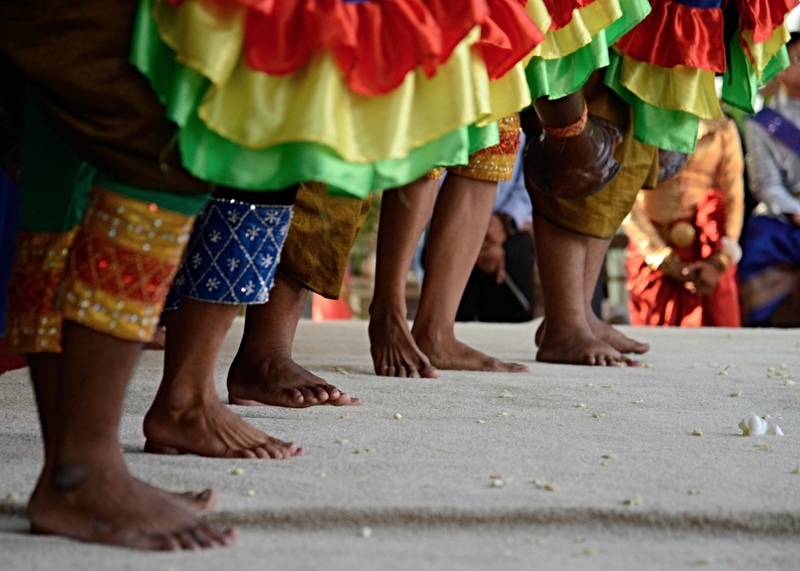 K’thaa are used in by Cambodian people for a great many purposes; be it for protection, charm or business ventures, there is a K’thaa which can be summoned and worn. 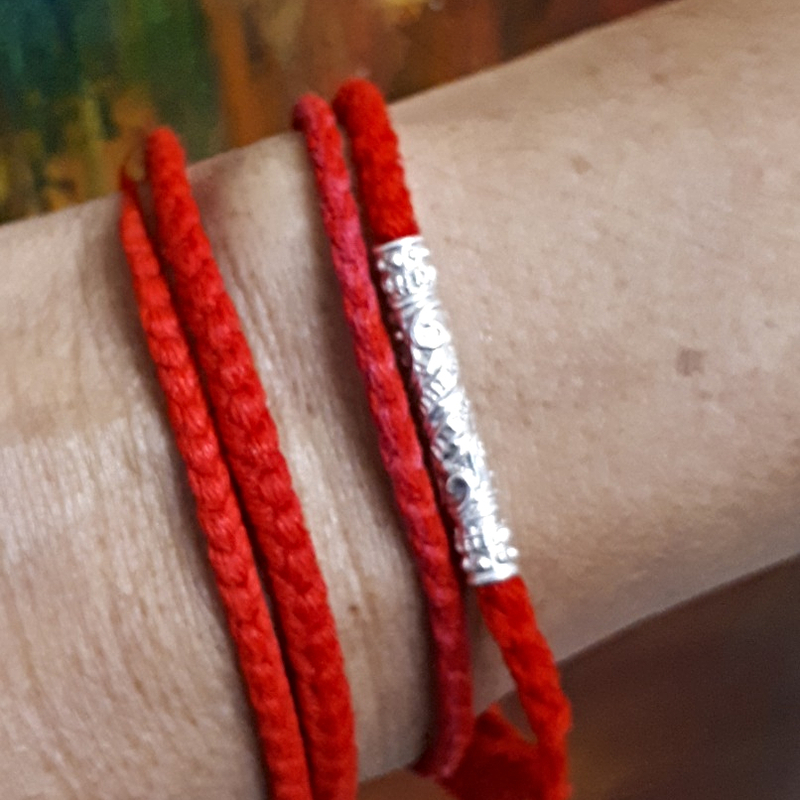 They are aimed at bringing luck, happiness or even love to the person wearing it on his wrist or keeping it in his pocket. 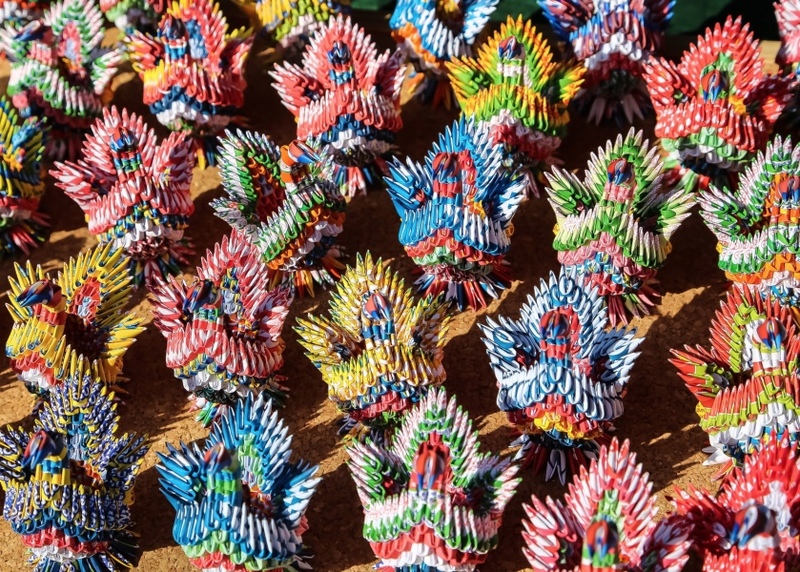 These amulets are received from the monk at the temple after making donation. 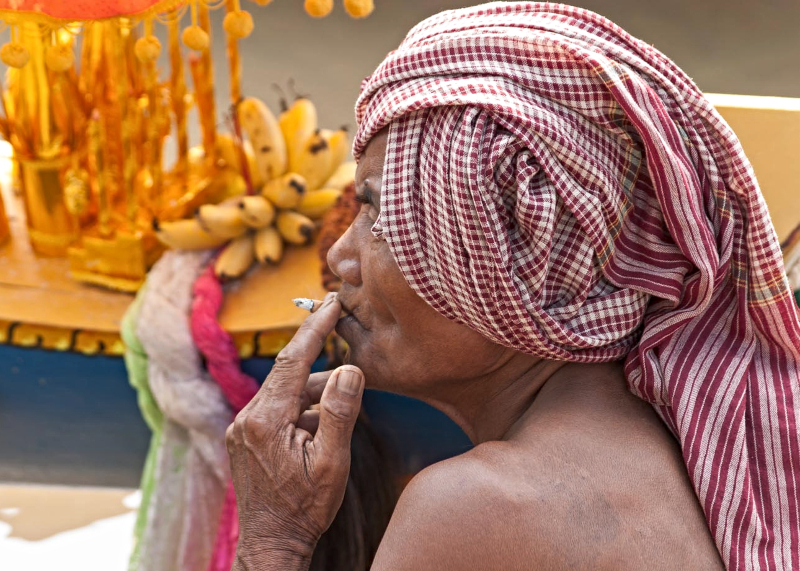 The “krus” (same word as the Sanskrit word “guru”) and Buddhist monks are believed to have the power to prepare or sanctify an amulet by establishing a supernatural link between it and the person holding or wearing it. 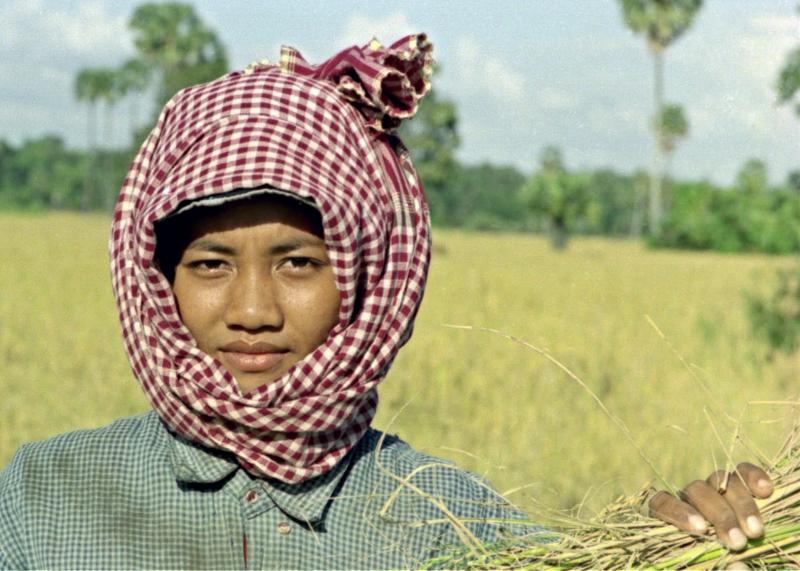 You may see Cambodian babies wearing K’thaa around their neck or their waist to ward-off evil spirits, or adults wearing it inserted with a cotton thread around their wrist to be protected on a long journey or when they feel unsafe. 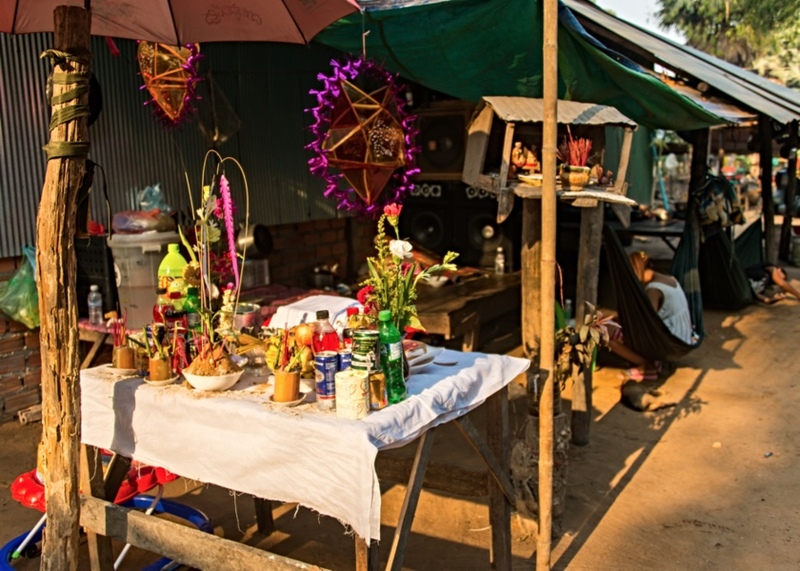 Many businessmen and shop owners have sanctified key-chain amulets with K’thaa to bunch their keys and opening their office or shop with such key chains is considered auspicious. 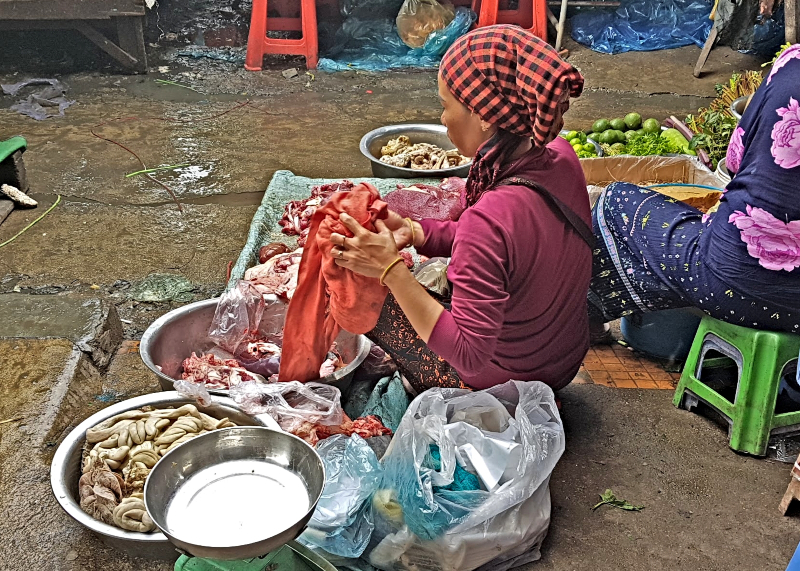 As a tourist, you can buy Khmer amulets on the markets and use them as colored typical bracelets or as decoration, ignoring their importance in locals’ eyes. 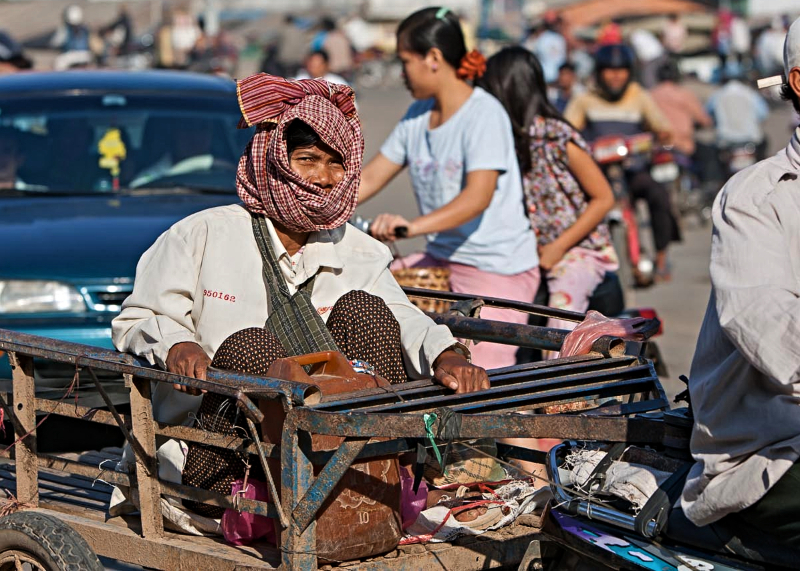 If you want to know more about Khmer culture and little known parts of Phnom Penh, join our interactive mystery tour !